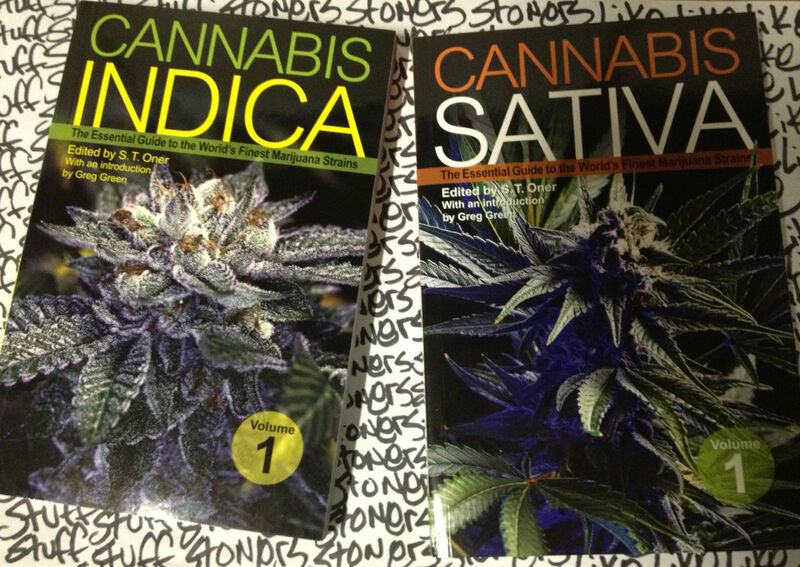 Special DANKS to the folks @GreenCandyPress who sent us these two marijuana strain guides; Cannabis Indica and Cannabis Sativa; The Essential Guide to the World’s Finest Marijuana Strains! If you’re reading this…you’re in luck because YOU can win one. Each book contains tons of color pics and vivid descriptions of 100 strains from 100 breeders. And, like…how could we NOT reward this dude, right? That’s like one of the coolest pics we’ve ever seen. So he gets a Marijuana Strain Guide as does the winner of this contest. But, the next winner gets to choose first…so choose wisely because the Marijuana Strain Guide ya don’t choose goes to our dude, @hennface. How do you win? Just get our attention like dude did. So the contest starts NOW and ends at 4:20 PST (that’s CALIFORNIA time) tomorrow. Catch us on TWITTER or FACEBOOK to get out attention. Good luck and Stay STONED.